Everyone remembers examples of political defections, the most prominent being Winston Churchill’s ‘ratting’ and ‘re-ratting’ between the Conservative Party and the Liberals. But, Churchill was by no means alone; nor was he the most prolific defector. Over 100 MPs and former MPs defected to or from the Liberal Party in the century since 1910. With so many individuals leaving their party for another, it raises the question whether defections are all one-off storms of protest, or whether collectively they are indicators of significant change in the political climate. 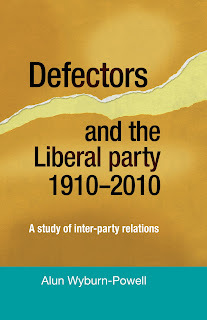 Defectors and the Liberal Party 1910 to 2010 – a study of interparty relations concludes that there are indeed patterns to defections. 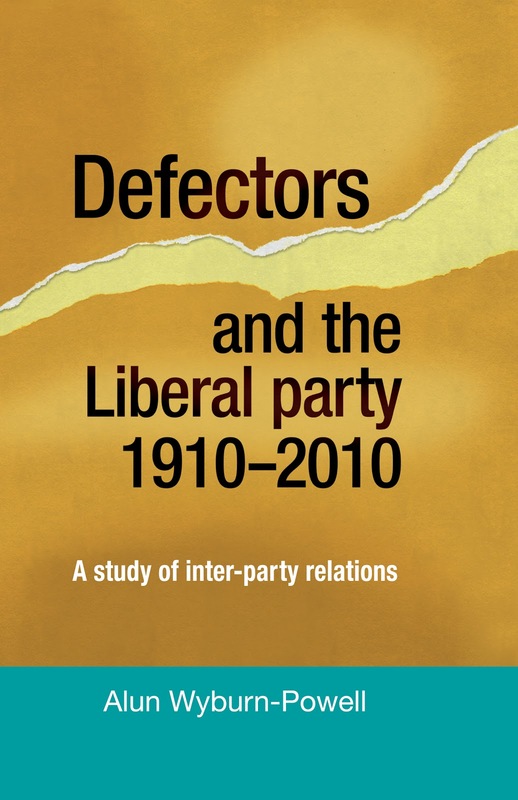 This new book by Dr Alun Wyburn-Powell is the first comprehensive study of political defections, covering a whole century and investigating 122 defections. There are common threads behind the reasons for defection and indicators suggesting who was likely to defect and who would remain loyal when faced with the same set of circumstances. The first part of the book identifies the characteristics which distinguish defectors from loyalists – defectors were disproportionately male, wealthier, more militaristic, began their careers at a younger age and were likely to come from a minority religion. Paddy Ashdown proposed a theory for international spying, that it was the ‘toffs’ who defected. His theory is tested and found to hold true in politics too. Overall, defection was found to be a career-enhancing move, resulting in a higher chance of ministerial office and a peerage. Defectors from the Liberal Party went fairly equally to the right and to the left, but those who went to the Conservatives were much happier than those who went to Labour. This reveals an underlying compatibility between the partners in the 2010 coalition, which took many commentators and even the parties themselves by surprise. The second part of the book investigates all the individual defections, considering the personal and party implications. The reasons for all the defections are analysed. Conclusions are reached about the responsibility of individual leaders for the defections. The timing of the Liberal Party’s decline and revival is investigated, challenging the views of other historians. The most prolific defector was not Churchill, but Edgar Granville, who lived to the age of 100 and had five defections to his name. Lloyd George was the leader who presided over the worst attrition rate of defectors. Each individual defection was the conclusion of an expert witness, the defector, on their party at a specific moment in time. Defection was rarely a comfortable experience, as is revealed in detail from the tales of each defector. The foreword to the book is by Lord Andrew Adonis, former cabinet minister, author of Education, Education, Education and himself a defector from the Liberal Democrats to the Labour Party.